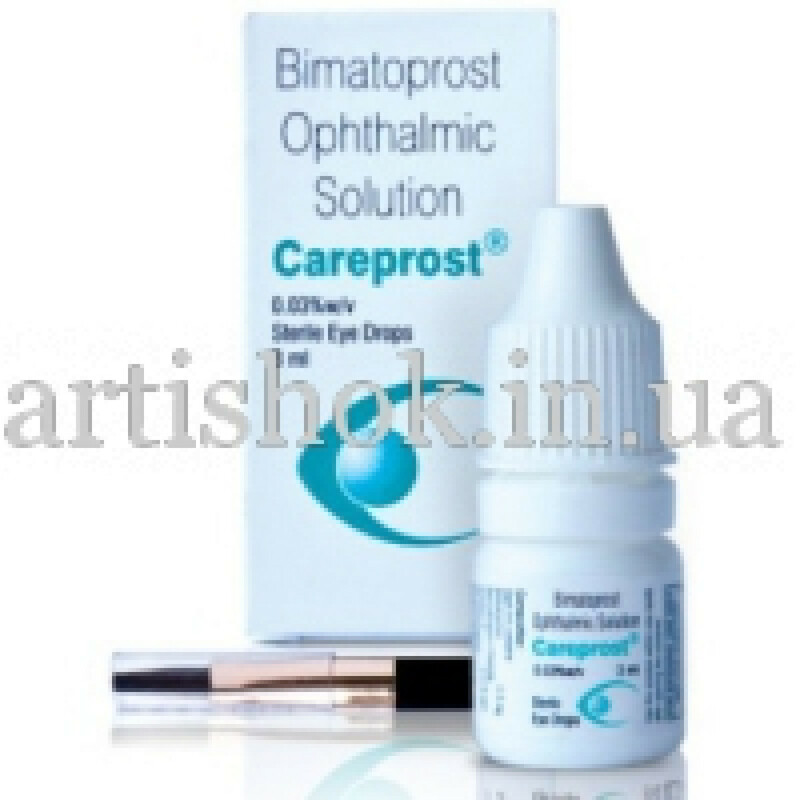 Careprost today is one of the most famous and effective means to improve the growth of eyelashes. One component of this medicine is Bimatoprost, with the ability to stimulate cell growth. Penetrating into the hair pouch eyelashes, it stimulates rapid growth and strengthens fine. The use of this medicine will give your lashes a healthy look, increase the length and make them much darker. The first results are already noticeable after two to three weeks, and for maximum effect, you must use Careprost daily for three to four months. Problems with hair loss and growth of eyelashes arise as the result of various disorders in the body - blood circulation in the head, hormonal imbalance and due to external factors, the regular use of low quality cosmetics, skin care, etc. To maintain the obtained result must be regularly to keep using Kareprost one or two times a week. Indications: loss of eyelashes, weak growth. Method of application: apply a thin layer on the roots of the lashes. Avoid contact with eyes. Contraindications: can cause allergic reaction after contact with the eyes may cause razdrazhenie. From the store: Careprost is not an Ayurvedic medicine. It was originally created as drops from glaucoma, but because of the negative side effects certified. But one side effect - improving the growth of eyelashes and eyebrows made him famous and popular. Perhaps it makes sense to use it in order to quickly improve the condition of eyelashes. However, it does not solve the original problem that led to the deterioration of the lash, which, however, the manufacturer says. Original name: Careprost Sun pharma. In our store You can buy authentic Careprost Sun pharma at a bargain price!